Join the Team Sydney group behind the Team Sydney Float in the Mardi Gras Parade on 5th March for only $45 per person. The theme this year is “Change the Game” which is the slogan of the 2016 Team Sydney “Combating Homophobia and Transphobia in Sport” Conference in May. A Team Sydney branded cap will be provided for all group members and the rest of your outfit should be your team colours. We are limited to 100 people by Mardi Gras so book early! The Mardi Gras Parade is the largest GLBTIQ Parade in the World and has become the highlight of the month-long, Mardi Gras Festival. It will take place on Saturday night, 5 March 2016, in the City of Sydney through to Centennial Parklands [corner of Moore Park Road and Anzac Parade, Centennial Park]. If you would like to join our Float please click on the Book Now button. You can pay with a Credit Card using PayPal (you do not need a PayPal Account) or with a PayPal account if you have one. If making a Bank Transfer, please also advise ts-secretary@teamsydney.org.au that you have made your payment so we can check on deposits. By making this payment and purchasing an entry to the event you acknowledge that you are participating in the Sydney Gay & Lesbian Mardi Gras Parade (“Parade”) of your own free will. (b) loss, damage, death or injury to the Participant or the Participant’s equipment or other property, arising directly or indirectly out of his/her participation, including but not limited to the rehearsals, workshops (including float construction), and the march in the Parade. The Sydney Gay and Lesbian Mardi Gras Parade is a public event. Please note that your image may be recorded photographically or electronically during participation in the Parade. By your participation you consent to all images taken of you during your participation in the Parade (including rehearsal, the period of time before, during and after the Parade itself) being used in public broadcast or other media forums without your further additional consent being required. Our meeting place will be at the obelisk, corner of Elizabeth and Bathurst Streets, where wristbands to enter the Parade will be distributed from the paid, Registration of Participants. We will then build and decorate the Float, in our line-up position and have a rehearsal, before the Parade starts at 7:45 pm. Our Float is expected to enter the Parade route at approximately 8:30 pm. After the Parade, help must be quickly given to dismantle the Float, so that our truck can return its hired contents to Darlinghurst (Buzz Speakers) and then be returned to Alexandria (Bunnings). 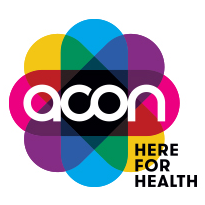 Participants will be able to catch a bus on Anzac Parade or walk to the Party or watch the rest of the Parade. Participants are encouraged to wear their Club uniform during the Parade, in order to present uniformity, as a significant image of our Float and the Mardi Gras Theme. Comfortable shoes are highly recommended. There will be room to store back-packs, water bottles etc in the truck. The Timetable below provides a summary of tasks on the day. Team Sydney is convinced that you will experience an exciting, memorable and fun Mardi Gras 2016! 7:00 pm Gates locked NO entry after 7pm!!! 10:30 pm Help to strip the Float of unwanted items; Banners to be given to Tony for storage. Sound Equipment to be returned to Buzz Speakers, Ute return to Bunnings. Team Sydney in conjunction with Claire’s Kitchen on Oxford Street will be officially launching our Gay Games X campaign. Come and join us for a great night of French food and entertainment (french trio, “Viva the band”) with great guest speakers. 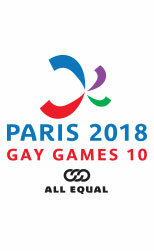 Team Sydney will also be launching our major raffle prize for 2017/2018 being a return fare and accommodation package to Paris for the Gay Games from our sponsorship travel partner, OutandAbout Travel. Cost is $150 per head for 3 courses, welcome glass of bubbles, and wine package for the evening. Click on “Book now” to reserve. Tickets are strictly limited and close on May 22.